5th January 2012. New shop releases for 2012, including our first ever New Zealand product. Plus our $100 shop voucher winner for December is announced. Happy New Year from the ExplorOz team! We hope you all had a wonderful break over the holidays, whether that meant staying close to home with family and friends, or getting out on the road. The ExplorOz offices re-opened on the 3rd of January, and we've spent the past few days responding to any enquiries that came in over the break, so if you sent us an email over this time, check your inbox and you should find a response. Also, over the past week we've received the first few deliveries of some fantastic new products to be released this year, so keep reading for more information on what's new. This is the first ever New Zealand product to be added to the ExplorOz Shop, with more to be added in the upcoming weeks. The Raster 250k New Zealand - DVD contains both a 250k Scale Mosaic Map of New Zealand, as well as 31 individual 250k maps, all maps are provided in both OZF (OziExplorer) and ECW (Trackranger, TwoNav & GIS) formats. This is the perfect product if you're planning to use digital maps on your laptop or a Hema Navigator to navigate around New Zealand, and at only $25 (or $23.75 for members) is also fantastic value! This 220 page paperback with photos is the story of 50 bikes on the road for 33 days to raise money to help save the lives of cancer stricken children. 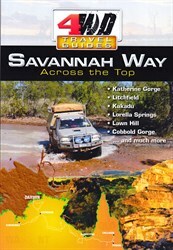 The book follows the journey of these bikes through the steamy Queensland canefields, the sparse and rocky desert, the waving grasses of the Barkly Tablelands and the majestic Kimberleys plus the stories of the events occurring along the way. A Lap for the Little Ones is for sale in the ExplorOz Classifieds, and part proceeds go to the Steve Walter Foundation, buy your copy here. The winner of our December random prize draw for submitting a shop product review is: rosschris. Yep, that's all you've got to do to win. There will be another prize draw for January reviews, but remember you've gotta be in it, to win it! The next edition of the Members Voice Newsletter is due to be sent on the 12th of January. This is an opportunity for our members to communicate on topics that would generally be considered "off topic" in the forum. For example let us know what you got up to over the holidays! If you're a current member simply send us an email at info@exploroz.com and we'll include your submission. In stock now for only $19.99! 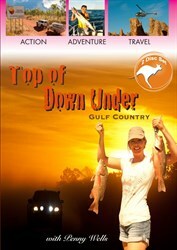 From the producers of the extremely popular To the Top of Down Under Cairns to Cape York DVD.